This is a fun Cars coloring page, print it out and use crayons, pencils, paint and color it any way you like. 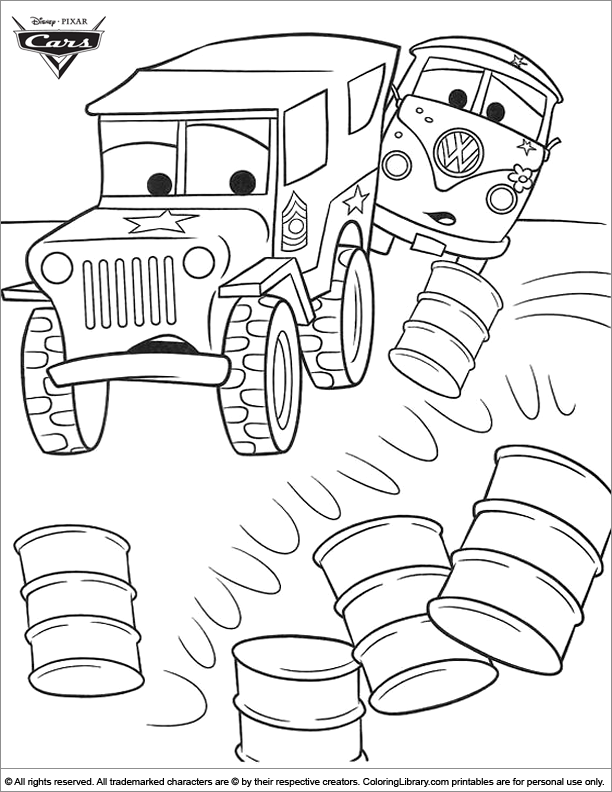 Collect all the Cars coloring pages from the gallery, they are all free. Enjoy coloring this Cars coloring page and many others for free from the Coloring Library.